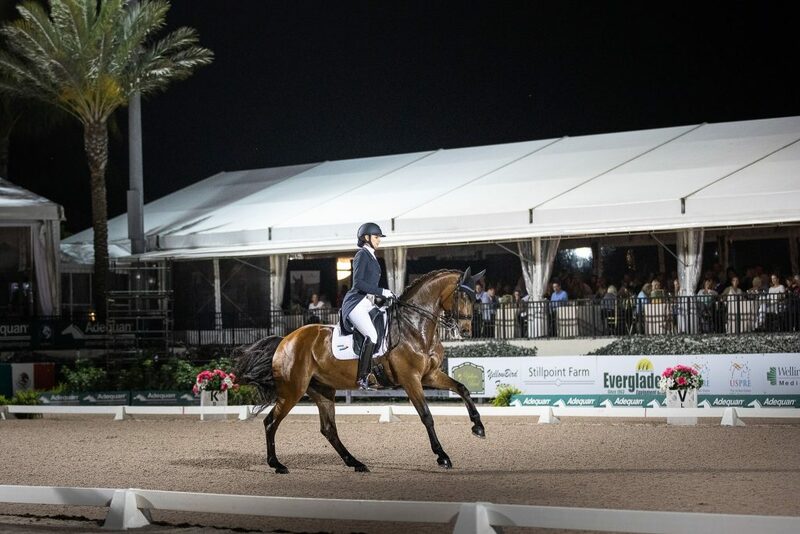 It’s hard to believe, but another busy season at the Winter Equestrian Festival (WEF) and the Adequan Global Dressage Festival (AGDF) is heading down the back stretch! So make sure that your weekend plans align with the following display of spectacular equestrian competition in Wellington. It’s the last night of the season to take in the best international Friday Grand Prix Freestyle event in the USA. Watch some of the world’s most renowned equestrian athletes dance with their horses under the lights, while you can shop, eat and enjoy mingling with others during cocktail hour! Come to see top riders such as Adrienne Lyle, Shelly Francis, Charlotte Jorst, Laura Graves, Jan Ebeling, Michael Klimke, Heather Blitz and Bent Jensen. Gates open at 6pm, parking is $10 per car, general admission is free – so load up your friends and family for the last evening of international level dressage in the big ring at AGDF (13500 South Shore Blvd)! Information on all the weekend’s events can be found through the AGDF Facebook Page. Please come out and celebrate the biggest night of show jumping during the winter season! 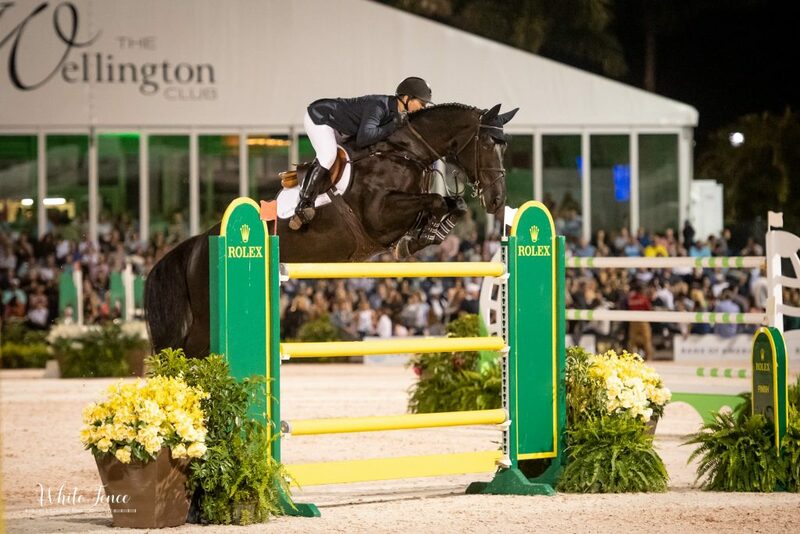 Join Wellington Equestrian Realty for the $500,000 Rolex Grand Prix CSI 5* this Saturday 730pm in the International Arena at WEF. The world’s best show jumpers will be competing under the lights for the largest prize purse of the season. All of your favorite entertainment will be available including live music, various food and shopping vendors, kids’ petting zoo, carousel rides, and more! There’s still seats available in the Veuve Clicquot Suites in the event you want to live it up with a full course meal, open bar and spectacular viewing of the competition. Reservations are available through this LINK. In addition to the evening entertainment this weekend, there are a variety of other hunter/jumper classes running all day at the PBIEC. Make sure you stop out to watch an amateur jumper class or to watch the grace of the horses on the International Hunter Derby field. Need More Entertainment? 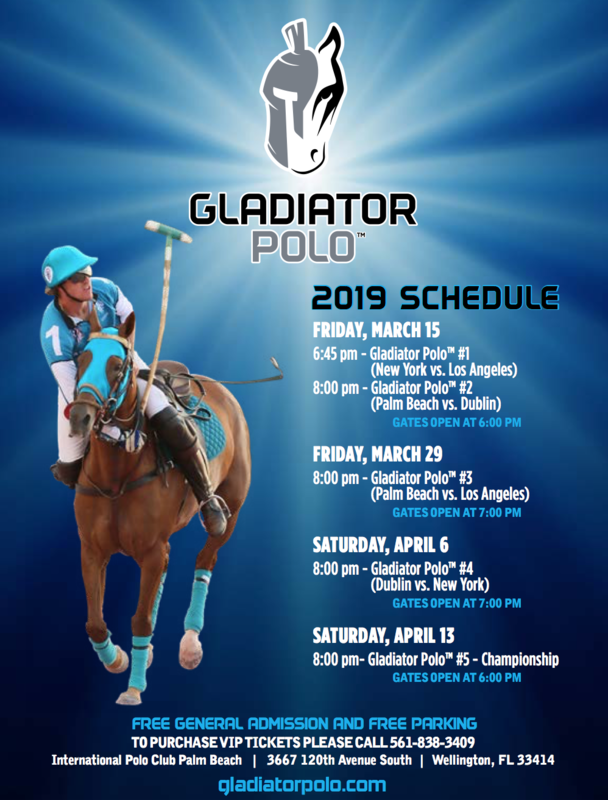 Gladiator Polo Matches Run Till Mid-April! Gladiator Polo™ action in the arena at the International Polo Club (IPC) on Friday, March 29 as Team Palm Beach battles Team Los Angeles! The series started in the beginning of March and spectators can enjoy FREE stadium seating or chose the best vantage point from a table in the VIP Marquee with an authentic Argentine Asado dinner & cash bar for just $50! Wellington Equestrian Realty thanks all of our partners and clients for another exhilarating winter season and we look forward to celebrating with you this weekend at the show venues!